Doctors advice on HOW to eat fruit to prevent and cure Cancer! I received an email this morning and I would really like to share it with you. I’ve always been a big fan of fruits not only because they have that wonderful sweet tangy taste to them but also because I love juicing and coming up with new recipes for my smoothies. I also appreciate all the many nutritious benefits they provide. Doctor Stephen Mak ( treats terminally ill cancer patients) has come up with the conclusion that fruits are now the new way forward to curing and preventing Cancer. It’s long but very informative. We all think eating fruits means just Buying fruits, cutting it and just popping it into our mouths. It’s not as easy as you think. It’s important to know how and when to eat. What is the correct way of eating fruits? IT MEANS NOT EATING FRUITS AFTER YOUR MEALS! FRUITS SHOULD BE EATEN ON AN EMPTY STOMACH. If you eat fruit like that, it will play a major role to detoxify your System, supplying you with a great deal of energy for weight loss and other life activities. FRUIT IS THE MOST IMPORTANT FOOD. Let’s say you eat two slices of bread and then a slice of fruit. The Slice of fruit is ready to go straight through the stomach into the Intestines, but it is prevented from doing so. In the meantime the Whole meal rots and ferments and turns to acid. The minute the fruit Comes into contact with the food in the stomach and digestive juices, the entire mass of food begins to spoil….. So please eat your fruits on an empty stomach or before your meals! You have heard people complaining every time I eat watermelon I Burp, when I eat durian my stomach bloats up, when I eat a banana I feel Like running to the toilet, etc. Actually all this will not arise if you eat the fruit on an empty stomach. The fruit mixes with the Putrefying other food and produces gas and hence you will bloat! Graying hair, balding, nervous outburst, and dark circles under the Eyes all these will NOT happen if you take fruits on an empty stomach. 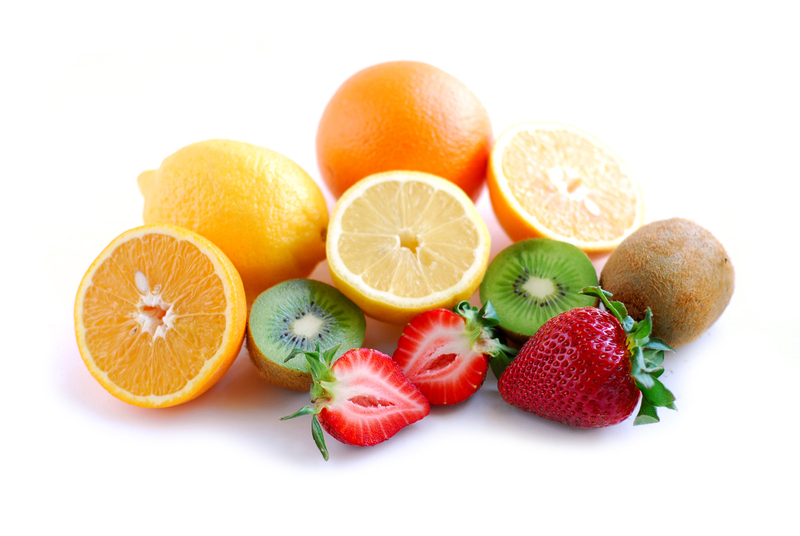 There is no such thing as some fruits, like orange and lemon are acidic, because all fruits become alkaline in our body, according to Dr. Herbert Shelton who did research on this matter. If you have mastered the correct way of eating fruits, you have the Secret of beauty, longevity, Health, energy, happiness and normal weight. When you need to drink fruit juice – drink only fresh fruit juice, NOT From the cans. Don’t even drink juice that has been heated up. Don’t eat cooked fruits because you don’t get the nutrients at all. You only get to taste. Cooking destroys all the vitamins. But eating a whole fruit is better than drinking the juice. If you should drink the juice, drink it mouthful by mouthful slowly, because You must let it mix with your saliva before swallowing it. You can go on A 3-day fruit fast to cleanse your body. Just eat fruits and drink fruit Juice throughout the 3 days and you will be surprised when your friends Tell you how radiant you look! KIWI: Tiny but mighty. This is a good source of potassium, magnesium, Vitamin E & fiber. Its vitamin C content is twice that of an orange. APPLE: An apple a day keeps the doctor away? Although an apple has a low Vitamin C content, it has antioxidants & flavonoids which enhances the Activity of vitamin C thereby helping to lower the risks of colon Cancer, heart attack & stroke. ORANGE: Sweetest medicine. Taking 2-4 oranges a day may help keep colds Away, lower cholesterol, prevent & dissolve kidney stones as well as lessens the risk of colon cancer. WATERMELON: Coolest thirst quencher. Composed of 92% water, it is also packed with a giant dose of glutathione, which helps boost our immune system. They are also a key source of lycopene * the cancer fighting oxidant. Other nutrients found in watermelon are vitamin C & Potassium. GUAVA & PAPAYA: Top awards for vitamin C. They are the clear winners for their high vitamin C content. Guava is also rich in fiber, which helps prevent constipation. 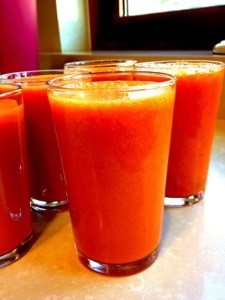 Papaya is rich in carotene; this is good for your eyes. 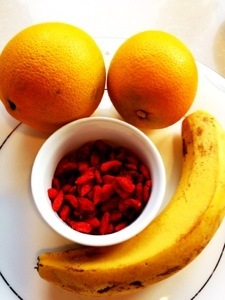 Knowing the benefits of goji berries I decided to incorporate this wonderful berry into my morning smoothie. I soaked half a cup of Goji berries in some water just to soften them up. I then put berries, banana and orange juice into the blender with ice. Simple and delicious ! why do some people look so young? The chinese secret to longevity in humans. Goji berries are full of antioxidants that cleanse the blood and dispose of any free radicals that maybe of harm to our cells. They are high in vitamins, A, B, C and E. Vitamin A being very good for anti-aging. Also they are good for the immunity, preventing cancer and heart disease and lowering cholesterol. Results show that eating goji berries may result in benefits such as mental well being, athletic performance, better sleep, calmness, happiness and health. You are able to find goji berries at your local grocery store, they are great on top of cereal or mixed in to a smoothie.